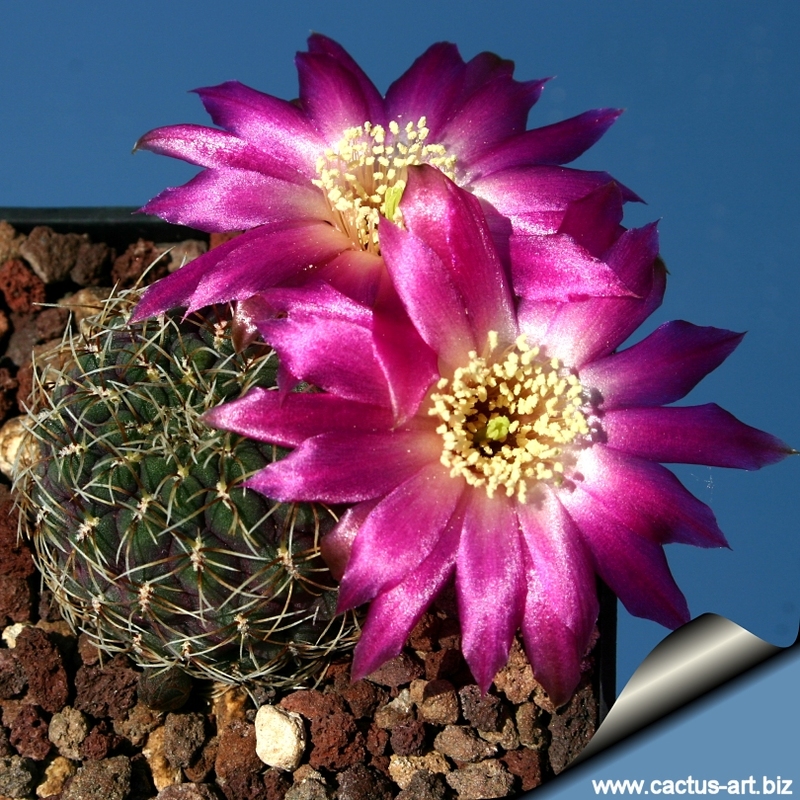 It is small headed low growing clumping cactus with lovely dark bodies. Description: S. pulchra is a low growing, mound forming, cactus which branches profusely from the base. Stem: Dull olive-green tinged with red till dark violet, individual stems 40-50 mm in diameter, 20-30 mm tall. The stem is covered by flat tubercles (5mm wide) which vary in colour between dark green and violet. In older plants tubercles are arranged in up to 16 spiral line merging in the apex. Areoles : Long narrow with short white felt. Radial spines: 10-12 yellow/brown, fine, bristle-like 2-4(-10) mm long. Pectinated, ± pointing diagonally and downward. 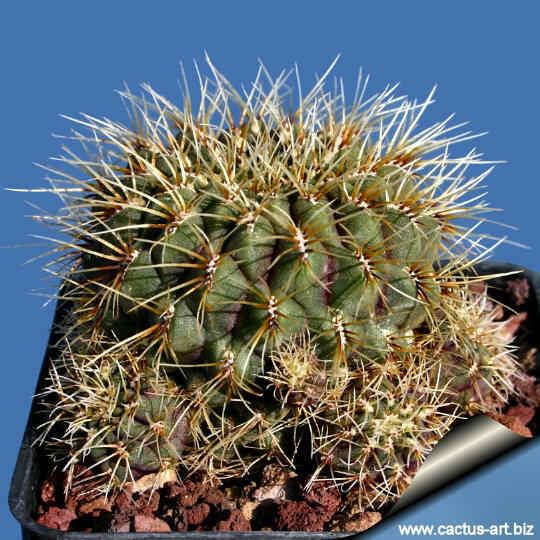 Central spines: Usually absent or 1-2 more or less erect. Blooming season: Flowers are produced in late spring and remain open for three or four days. Fruit: Dark brownish red., 4 - 5 mm wide. Sulcorebutia pulchera (Cárdenas.) Backeb. = incorreectl published name for S. pulchra (Card.) Don. 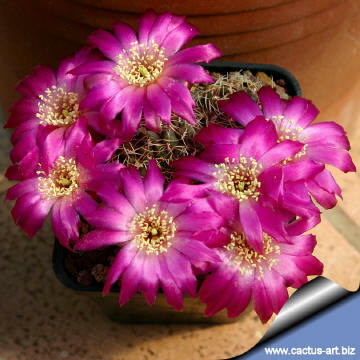 It is an eye-catching species, even without its white throated magenta flower. Cultivation: S. pulchra loves a very permeable, coarse mineral soil as well as to be strictly kept dry throughout the winter quiescent period since it is very sensitive to any moisture excesses, To prevent rottenness it is also advisable to surround its root neck by very rough sand or grit, this help a fast water drainage and an appropriate air circulation. For its sensitive roots this species is frequently grafted to avoid root problems.